according to the christmas movie channel which has been broadcasting soppy christmas movies since the beginning of october (yes, really), it is the season to be jolly, though i would respectfully suggest that every season ought to be one filled with jollity, particularly from the point of view of velocipedinal activity. 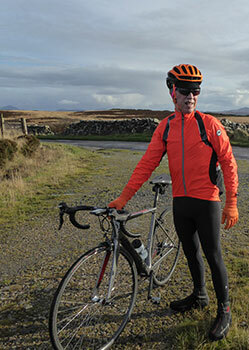 though the rain has scarcely left the hebrides alone for longer than five minutes these past few months, with the impressive plethora of weatherproof clothing available, there really is no sane reason not to take the bike from the bike shed, no matter the climatic conditions outside. oddly enough, at least from my point of view, folks in passing really only comment on the suitability of the day for a bike ride when the sun is shining. as was discussed over coffee after the sunday bike ride, days when we are forced to stay at home due to inclement weather are very few and far between. in other words, there really is no such thing as a bad day for cycling. that, of course, is entirely dependent on being appropriately dressed and on a weekend such as that which just passed, the word appropriate translates to warm, cosy and fluffy, preferably from top to toe. there may well be days ahead that will be filled with less than warming precipitation, the sort of days on which the rain persists from morning till night, taking in noon as a matter of course. 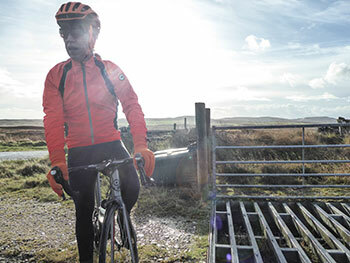 but more often than not, the average bicycle ride will feature periods of glorious sunshine, lessened only by the sight of an incoming downpour. it is both an advantage and disadvantage of the hebridean horizon that it is bordered with what was once referred to as acres of sky. those domiciled in the urban milieu are no doubt suddenly rained on from above with no prior warning. we pretty much always have warning; both a blessing and a curse. the curse part predominantly ensues from having already committed one's front wheel to the path less ridden, one which provides little alternative to the incoming downpour. and to be perfectly honest, strenuous efforts to avoid all and sundry will most often come to naught. a bit like karma, if that downpour has your name on it, you'll be caught eventually, probably just as you depart the coffee shop, still chittering in the cold outdoors. preparation, in this case, is the best defence and in that light, might i draw your attention to assos' eccentrically named habutightsmille, a translation for which escapes me and in point of fact might be less enlightening than you'd hope. 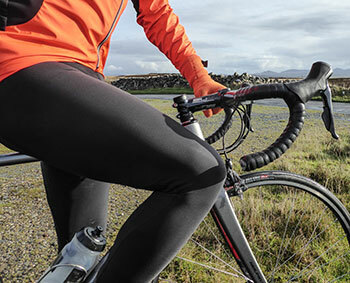 assos commend this part of their range for those riding in autumn and early spring, though summer months apart, in the uk's moderate climate, they could likely be worn at any time bibtights are deemed necessary. one or two of the g.c. ristorante debbie's peloton have remained hardy to the last, joining the sunday morning perambulations still displaying boney knees and rippling calf muscles to the elements. they, of course, discovered the error of their ways the hard way and, by this weekend, had mended such wayward errors of garmentage by donning full bibtights. i, as one of many years' experience, had already adopted a conscious level of appropriateness in the minimalist shape of the habutightsmille s7 with their highly effective weatherproofing. i should, however, make plain what i initially perceived to be a manufacturing error, in case others are moved to return their habutightsmille from whence they came. though i have never once come across a similar feature in either shorts or bibtights from any apparel provider, the purple insert is not sewn around its entire circumference. front and rear portions of one of the comfortablest (is there such a word?) padded inserts on the market, are sturdily affixed to the tights, but the mid-section on both sides is left open to the inner elements. whether this improves its function or not, i truly have no idea, but i can say with confident enthusiasm that it certainly doesn't hinder it. though many others offer bibtights with lightweight mesh bib straps, quite frequently, in the heat of battle, those bibs contrive to narrow themselves and begin to cut a furrow in straining shoulders. assos have effectively headed off such an intrusion at the pass, by featuring wide elastic straps that seem not predisposed to narrowing at any point of their constitution. thus constructed, they place any strain comfortably over honed shoulder muscles almost pressure free. i believe the techincal term is comfortable. the rear panel joins those straps in a y-shaped juncture between the shoulder blades and features all manner of obscure assos scribblings, including the words game changer in reverse. hmmmmm. i'd scarcely ascribe such a phrase to a humble pair of bibtights, even those with an all but inscrutable name, but whatever you or i think of switzerland's take on matters, there's no denying their excellence in the face of adversity. though they're hardly waterproof to the point of dessication, it was noticeable that the rain i'd experienced seemed happier to sit on the surface rather than inveigle its way into the fabric. for all the purported eccentricity on display, including the impressive packaging which attests to the company's involvement with the petronas amg formula one team (again, yes, really), the habutightsmille s7s are all but anonymous in motion. there are but two, small, rubber assos logos visible about their person; nice to see in a world often infested with bright logos writ large. at a retail price of only £165 and the promise made good that these can be worn for around half of an hebridean year, makes, to me at least, perfect sense. and though the external logos may be small, they're pretty much an assurance of quality. 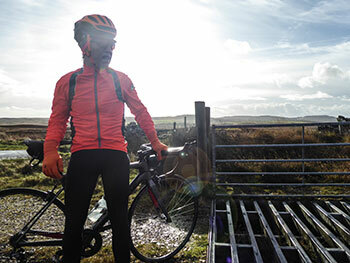 the habutightsmille s7 are available in black only, in sizes ranging from xs all the way to xl and the assos only designation 'tir', which is essentially the same as xl but wider.